"Eastbound & Down": Gloriously mulletted and hilariously profane, Danny McBride totally inhabits the role of disgraced former MLB pitcher Kenny Powers. 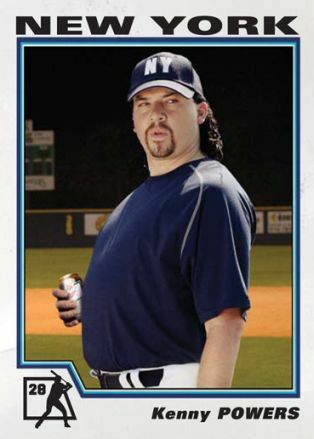 Not only is the HBO show my favorite baseball-related slice of media, Kenny keeps on entertaining during the "off-season" via his Twitter feed. "Manager's Corner with Earl Weaver": Speaking of profanity, this has got to be the funniest baseball-related viral audio, from back before any such thing was labeled "viral". It's been said that this was all a put on, but I'd prefer to think it's an actual artfully crass on-air interview. 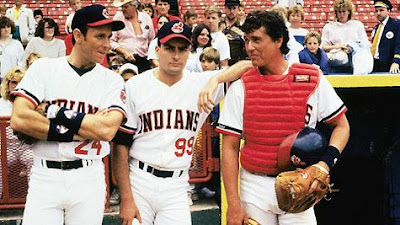 Major League: The greatest baseball movie ever? Yes. I've put the sequel out of my mind, but I hope the possible third flick will match the hilarity of one of the best '80s comedies. "Homer at the Bat": Yes, "The Simpsons" is relevant to all aspects of life, even baseball. Here Mr. Burns recruits nine pro players to act as ringers on the Springfield nuclear power plant's softball team, with hilarious results. ("I thought I told you to trim those sideburns!") Given the MLB's waning popularity and the dominance of "The Simpsons" in our culture, it's not surprising that most of the ballplayers featured in the episode say that they're more remembered for it than their on-field accomplishments. "Talkin' Baseball" by Terry Cashman: This song is pure nostalgia for me. 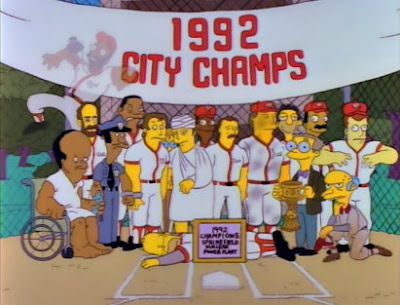 The aforementioned "Simpsons" episode has a funny parody of this tune ("Talkin' Softball"). "Space: The Infinite Frontier with Harry Caray: Hey! I love everything about this sketch: Will Ferrell's crazy impersonation of the late Cubs announcer, the absurdity of the premise, Jeff Goldblum's breaking up. Peanuts: Charlie Brown's decades long losing streak is one of the comic strip's constant sources of melancholy. 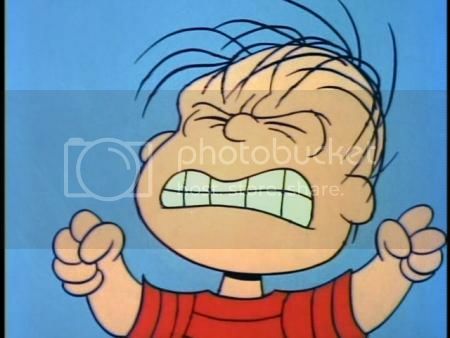 If Charlie Brown is such a terrible pitcher, why don't the kids replace him? Because the whole team's lousy. "Gamechangers Episode 3: A Legend in the Booth": Hank Azaria's take on fictional legendary baseball announcer Jim Brockmire is an instant classic. 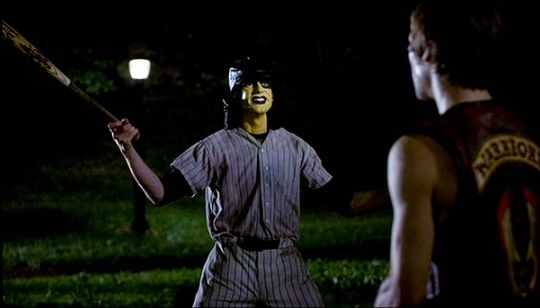 The Baseball Furies: Though in retrospect this face painted, bat wielding, and pinstriped street gang from The Warriors is pretty silly, as a kid they freaked me out. Larry David as George Steinbrenner: I resolved to include just one baseball-related aspect of "Seinfeld" and the relationship between George Costanza and "Big Stein" won out. 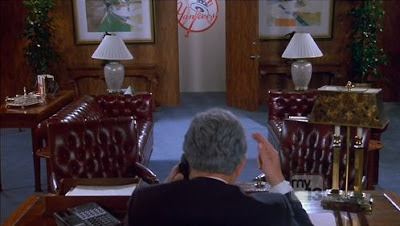 Sorry, Keith Hernandez. "George F. Will's Sports Machine": "Throw the ball, George!" This sketch from SNL's heyday is definitely not piffle. "Fanatic of the B-Word" - De La Soul: "Come on and do the baseball." HOW?! Dance songs are supposed to explicitly tell you how to do the damn dance. Still, the Prince Paul-produced beat's killer. "The World Series Defense": I'm including this episode of "It's Always Sunny in Philadelphia" because it's a correct representation of Philly sports fans' obnoxious behavior. Really great blog and i love base ball and these videos are really good thanks for share it.